University Hospitals, Cleveland, has named Dr. Robyn Strosaker vice president and chief medical officer at UH Case Medical Center. Dr. Michael R. Anderson has held the dual positions of chief medical officer for UH Case Medical Center and the UH system. Strosaker's new role over UH Case Medical Center begins June 1. Anderson will continue as chief medical officer for the system. 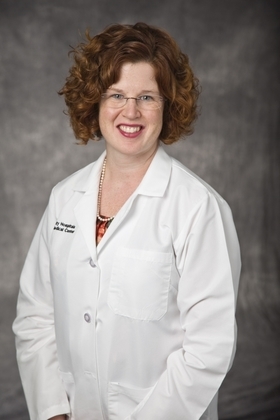 In her new role, Strosaker's initiatives will include high-reliability medicine, quality and safety, patient advocacy, physician relations and case management for the academic medical center, according to a news release. Strosaker completed her residency at UH Rainbow & Babies in 2004 and has been a member of the Department of Pediatrics ever since. She received her medical degree from Case Western Reserve University School of Medicine, where she now teaches as an associate professor of pediatrics. Strosaker, who is a graduate of the UH Leadership Academy, also has served as director of the Rainbow Acute Care Network, medical director of Inpatient Services, director of the Pediatric Hospital Medicine Program and associate director of the Pediatric Residency Program, according to a release. "University Hospitals appoints Robyn H. Strosaker as vice president, chief medical officer at Case Medical Center" originally appeared in Crain's Cleveland Business.